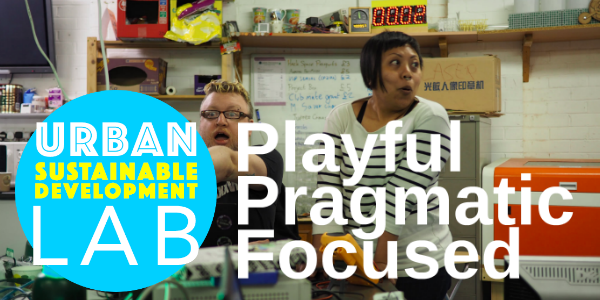 Invitation July 5: breakfast briefing on Creating a Community Powered Smart City | Urban Sustainable Development Lab | We build ethical solutions that are co-produced with residents and scaled by governments. The Sustainable Development Lab was set up in January 2015. Our mission is to understand how local authorities can create a Smart City powered by the community. In the last 18 months we have addressed themes from waste management to climate change, from social isolation to domestic violence. We have co-produced technology solutions with teams from Leeds City Council, residents across the city and a band of technologists. We have also begun the process to deploy pilot projects with older residents, families and school children. How does this approach work at a strategic level? What does community engagement look like? What about the business case? Through our experiments, successes and failures we have begun to gather evidence of what a community powered Smart City can be. Our collaborators from the private and public sector will share their point of view and answers to these questions. The briefing will offer inspiration, ideas and examples that you can apply. The product demos will include the Leeds Bins App, GSOH, CareView and Energy Tracker showcasing how open data can help offer public services digitally, 24 hours and in a way that suits the user. If you are a decision maker in the private or public sector who can lead the change, then join us on July 5. RSVP is essential. Please register your place by submitting the form below. © 2019 Urban Sustainable Development Lab | We build ethical solutions that are co-produced with residents and scaled by governments.